One of our incredible Giant Colon Tour volunteers in Peterborough. She’s a cancer survivor, and she says it loudly and proudly! 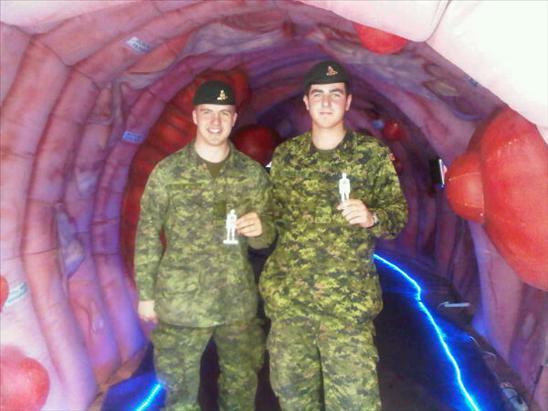 Canada’s finest checking out the Giant Colon in Pembroke, Ontario. It was the final stop for the 13-city provincial tour, but there are thousands of communities left to explore! What if I’ve done everything ‘right’? We received this message on our Facebook wall. It raises some very important questions surrounding colorectal cancer and the CCAC’s message. Please read on, and join in the discussion. We wish we could easily answer your questions and address your frustrations. Perhaps our messages have inadvertently conflicted with our conviction that no patient should ever feel guilty or embarrassed about receiving a diagnosis. 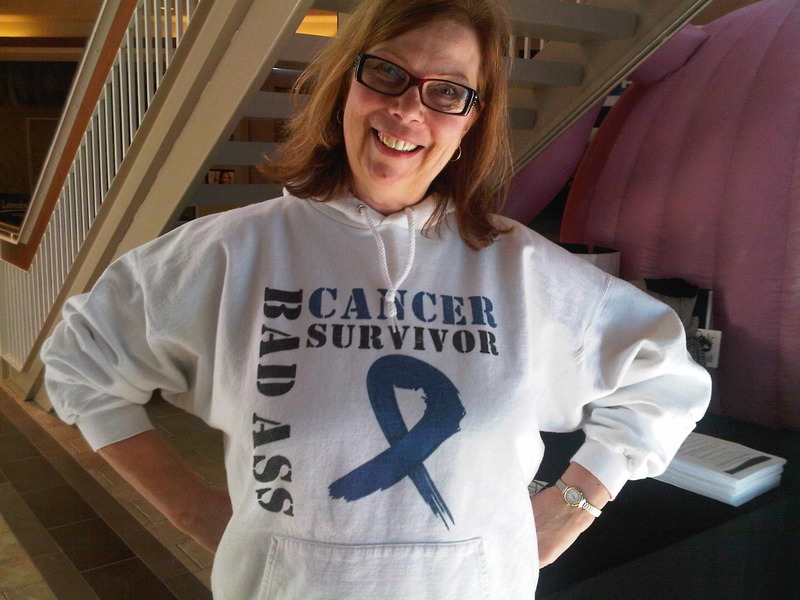 The truth is, when you become a colorectal cancer patient, your past doesn’t matter- what matters is your future. Nobody deserves to be diagnosed with cancer. Everybody deserves the chance to overcome it. Every day, the CCAC fights to deliver the message that colorectal cancer is Preventable, Treatable and Beatable. But every year, thousands are diagnosed with the disease, and worse yet, thousands will lose their lives. How are we able to maintain hope when the disease is so deadly? What do these three little words mean to us?